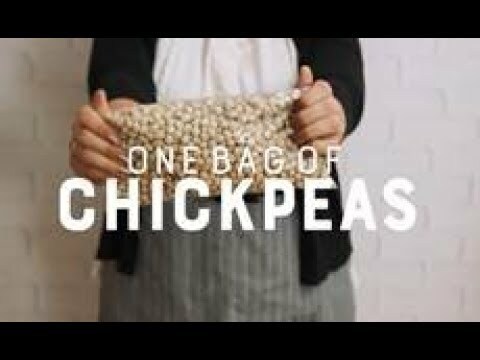 It’s easy to add cooked pulses (chickpeas, lentils, dry peas and beans) to foods you’re already eating. Explore the ideas below – or just add a scoop of pulses to basically any dish for an extra dose of plant-based protein and fiber, and additional nutrients. Just cook up a batch of pulses or open up a can, drain and voila! Here are some quick ideas to get you started. Heat olive oil in a large pan over medium-high heat. Add the peppers and cook for about 3 minutes, then add the garlic and cook for 1 more minute before adding the kale to the pan. Cook until wilted, then add the beans and continue to cook for one more minute. Season to taste. 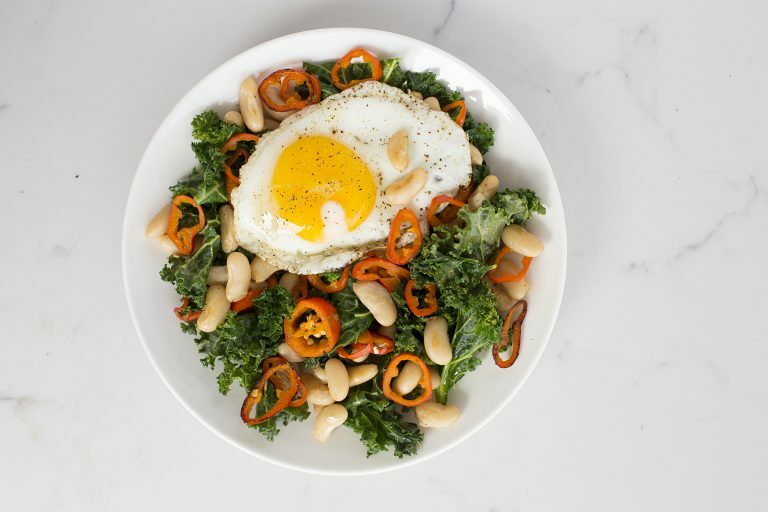 Transfer the kale mixture to four serving bowls, then crack the eggs in the hot pan. Cook to your preference before topping each serving bowl with one egg. Make a simple dressing by combining the juice and zest from one orange with the olive oil, white wine vinegar and a pinch of salt in a jar with a tightly fitted lid. Close and shake until combined. Peel and slice the remaining orange. 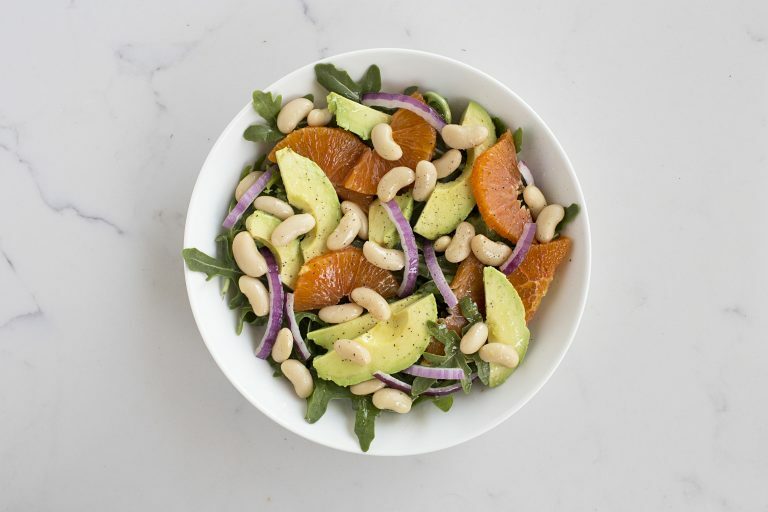 Divide the arugula between four bowls, then top each with beans, orange slices, avocado and onion. Drizzle with dressing before serving. Pre-heat the oven to 450 degrees and line a large sheet pan with parchment paper. Set aside. Place the sausage in a skillet over high heat and cook until brown, about 7 minutes. Remove from heat and set onto a paper towel-lined plate. Divide the dough into 4 pieces and roll each piece into a roughly 6-inch circle. Place on the prepared sheet pan. 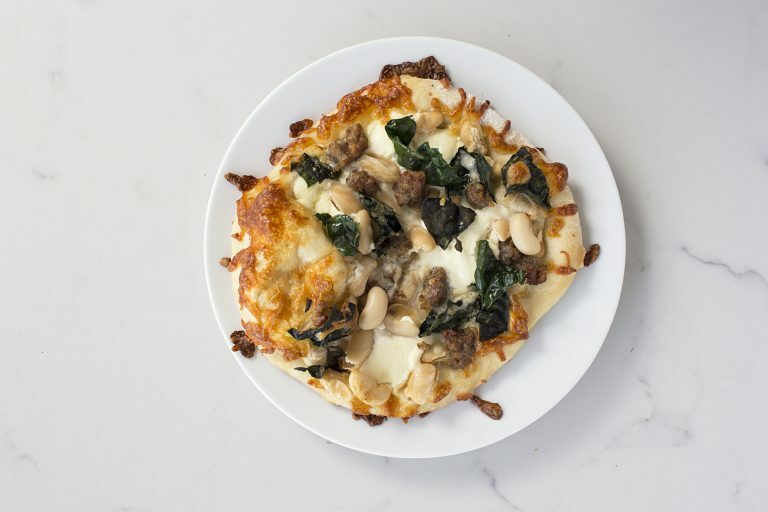 Top each with mozzarella, dollops of ricotta, white beans, sausage and kale. Bake until edges are golden brown and crispy, about 15 minutes. 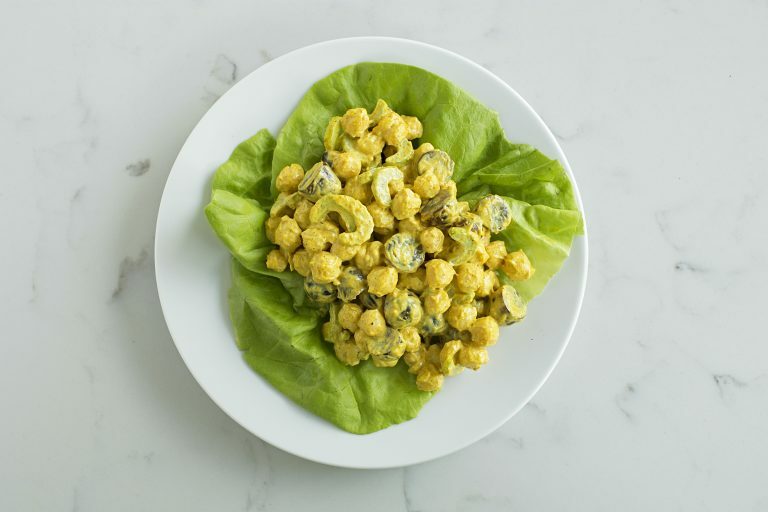 Combine chickpeas, mayonnaise, curry powder, celery and grapes in a bowl and use a spatula to mix. Place lettuce on four plates then top each with the chickpea mixture. Pre-heat the oven to 425 degrees. Place the chickpeas in a bowl with the salt and olive oil. Toss to coat, then spread on a sheet pan and bake until crispy, about 20 minutes. 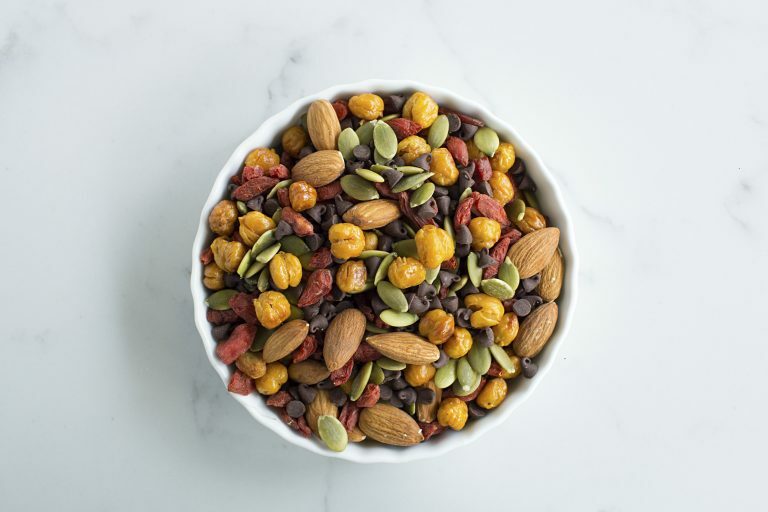 Allow the chickpeas to cool completely, then pour into a bowl with the almonds, goji berries or cranberries, pumpkin seeds and chocolate chips. Toss to combine before serving. 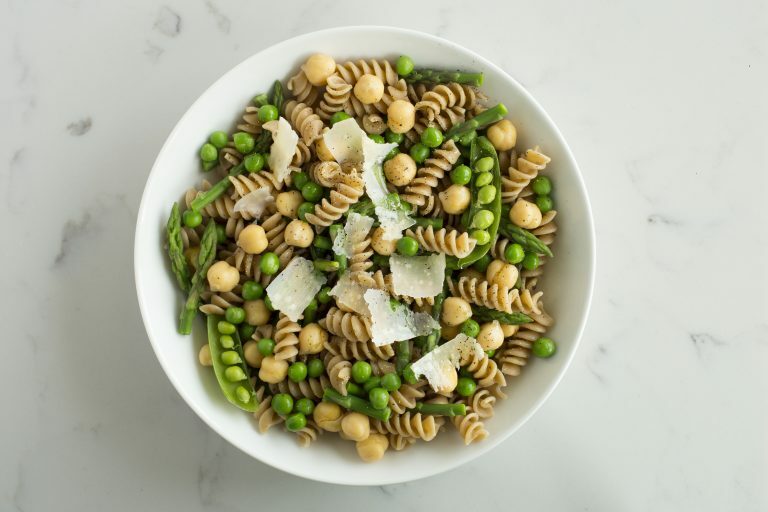 Cook pasta in boiling water for five minutes, then add the frozen peas and asparagus to the pot. Cover and cook for 5 more minutes, then drain. Pour the pasta mixture into a large bowl. Add chickpeas, sugar snap peas and olive oil. Toss to coat, then season to taste with salt and pepper. Divide between four bowls and top each with shaved Parmesan cheese. 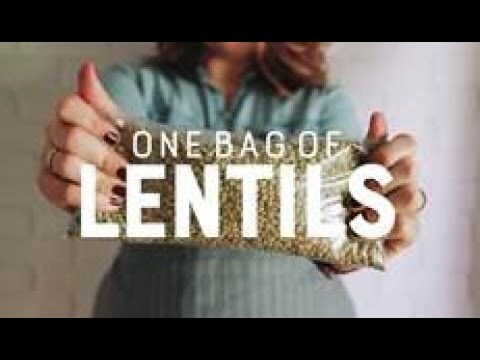 If the lentils are dry, rinse and then combine with 2 cups water in a small saucepan over medium-high heat. Cook until all of the liquid is absorbed, about 20 minutes. Combine lentils, cabbage, carrots, scallions and peanut sauce in a bowl. Toss to coat. Place two pieces of lettuce on each plate. Spoon filling into the center of the lettuce and top each with a sprinkle of chopped peanuts. If the lentils are dry, rinse and then combine with 2 cups water in a small saucepan over medium-high heat. Cook until all of the liquid is absorbed, about 20 minutes. Combine all ingredients in a bowl. Mix until it comes together. 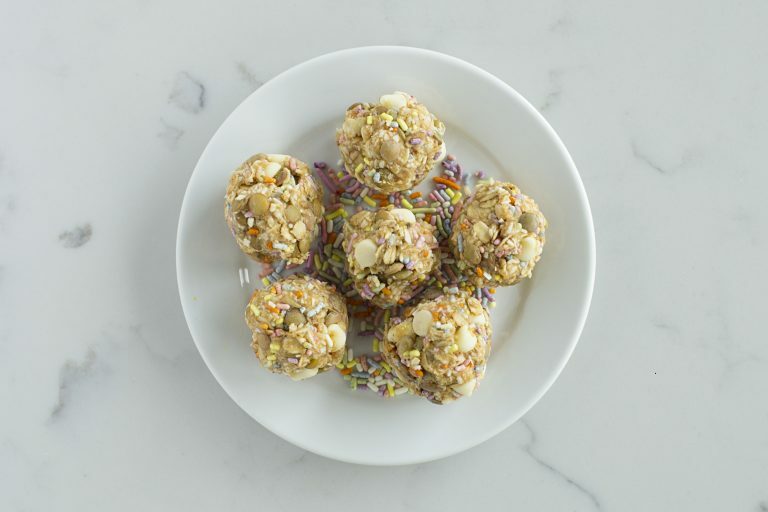 Scoop about a tablespoon out of the bowl, roll into a ball and place on a sheet pan. Repeat with remaining mixture and refrigerate briefly before serving. If the lentils are dry, rinse and then combine with 2 cups water in a small saucepan over medium-high heat. Cook until all of the liquid is absorbed, about 20 minutes. Pre-heat the oven to 425 degrees and line a baking sheet with parchment paper. Place the fish skin side down on one side of the pan and the sliced fennel on the other. Drizzle everything with olive oil and season to taste. Bake for 20 minutes. 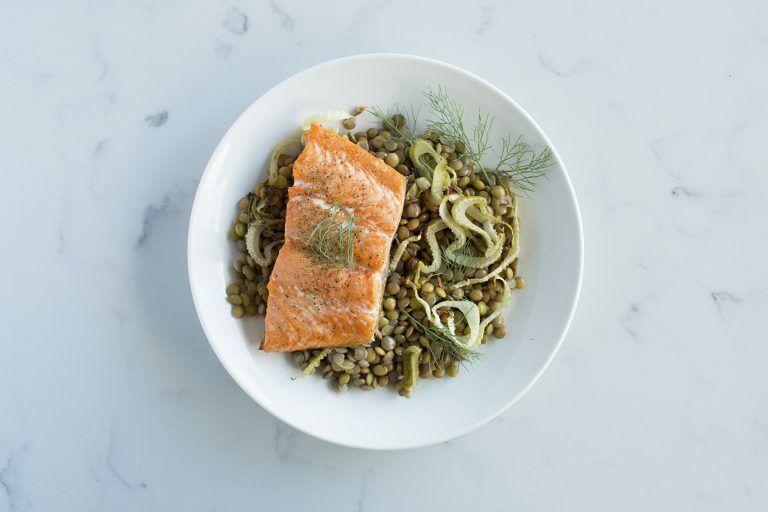 Toss the roasted fennel in a bowl with the lentils. Divide between four plates and top each with a salmon filet and a sprinkle of fennel fronds. If the split peas are dry, rinse and combine with 2 cups water in a small saucepan over medium-high heat. Cook until all of the liquid is absorbed, about 20 minutes. Place the cooked split peas in a small saucepan with almond milk. Cook over high heat until the majority of the liquid is absorbed, about 7 minutes. Add the broccoli, cover and cook for an additional 3 minutes. While the peas and broccoli cook, fry four eggs in a buttered nonstick frying pan. 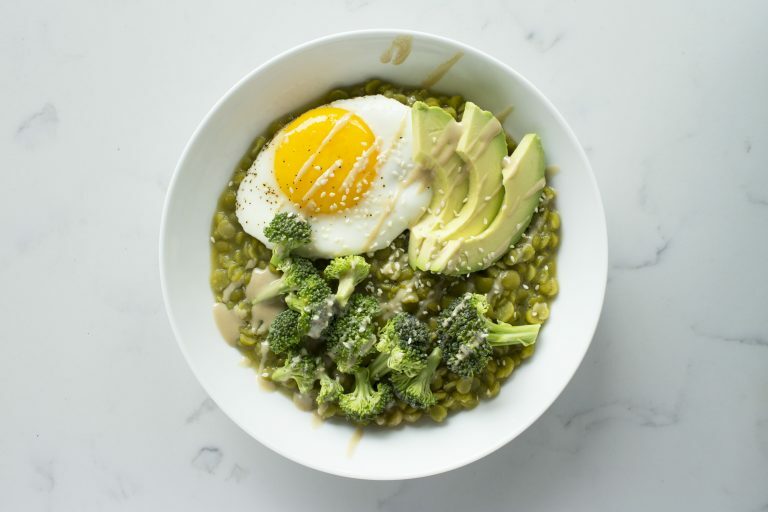 Divide split pea and broccoli mixture into four bowls. Top each with an egg and avocado slices, and add salt, pepper and hot sauce if desired before serving. Combine the cooked split peas and avocado in a blender and pulse until combined and smooth. 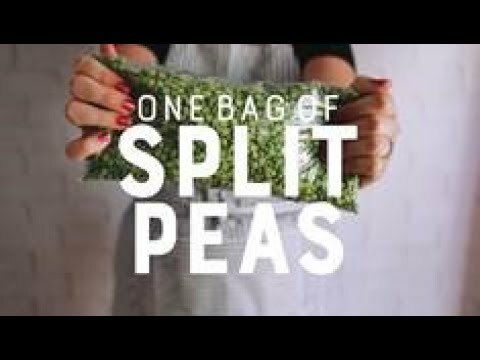 Spread split pea mixture onto all eight slices of bread. 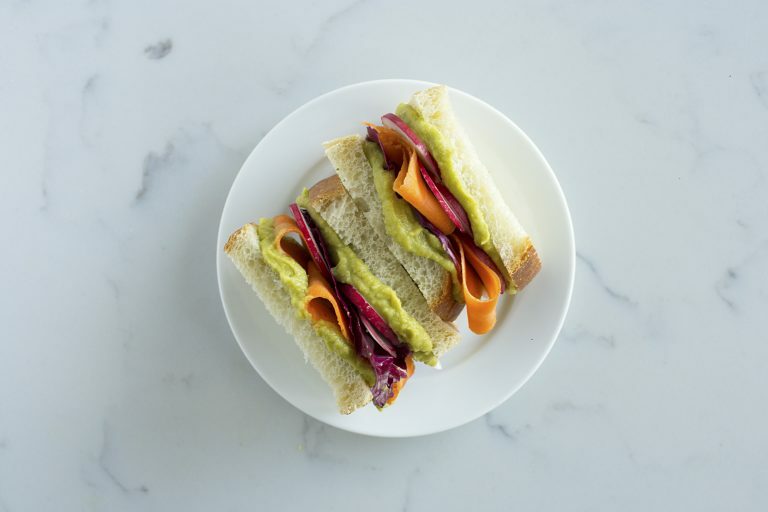 Top four slices with radishes, radicchio and carrots, then add remaining slices of bread on top, split pea side down to create four sandwiches. If the split peas are dry, rinse and combine with 2 cups water in a small sauce pan over medium-high heat. Cook until all of the liquid is absorbed, about 20 minutes. Combine all ingredients except scallions in a sauce pan over medium-high heat. Cover and cook for 20 minutes. Pour soup into four bowls and top with scallions before serving. Meal prepping this week? 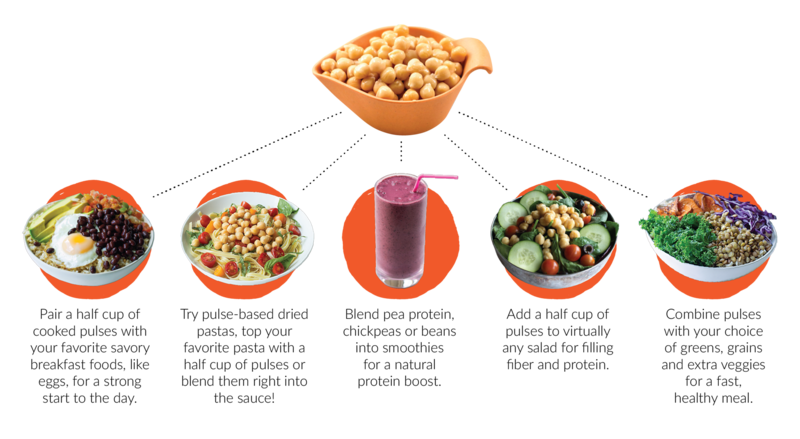 The below recipes include one batch of cooked pulses used in multiple simple and healthy meals! 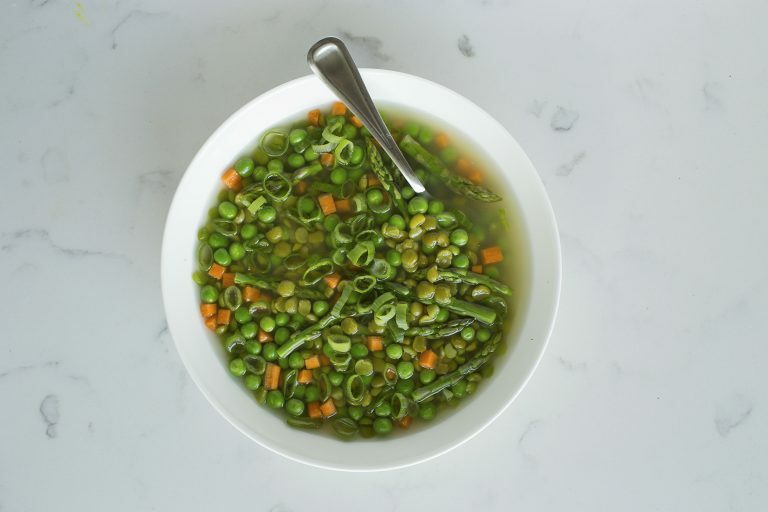 Go beyond split pea soup with these game changing dry pea recipes. 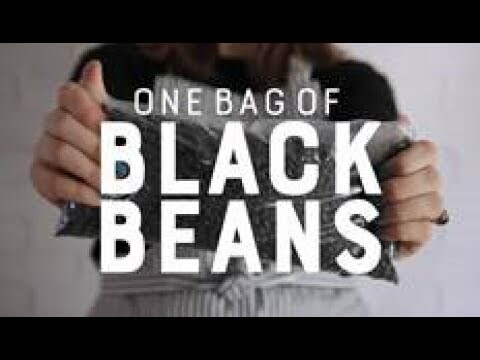 Three delicious recipes, one cooked batch of classic seasoned black beans. Lunch and dinner are covered with these taco, salad and soup recipes featuring lentils. Rich, creamy chickpeas stretched into three delicious meals. 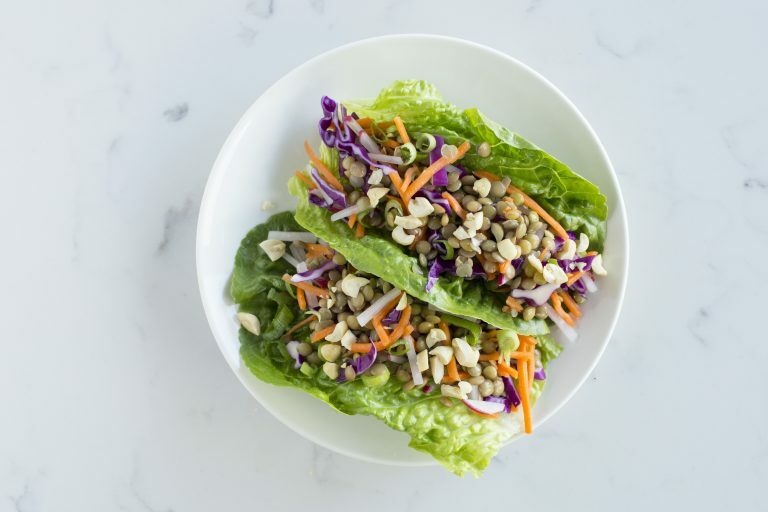 From making a sandwich with hummus to adding a scoop of lentils, beans or chickpeas to a salad or burrito, adding pulses adds flavor and nutrition to any dish.